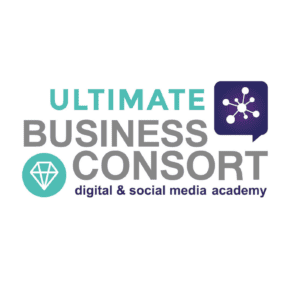 What does Business Consort offer? How can I develop my digital skills? Online: Learn anywhere – anytime – Choose from an array of Online Courses: Digital Essentials, Ultimate, Fast Track or a SAVE by purchasing a Pick’n’Mix Bundle. Corporate: We can deliver any of our courses & qualifications at your own premises – Our Corporate Training offering means we tailor the courses to your exact learning objectives. It’s cheaper to train teams through corporate training when you have 10 or more (or 4 or more for qualifications) – We also offer Power Hours for either 1:1 or group online strategy and training sessions. What does the Online Course Portal look like – Do you have a demo? How can I maxmise my results from digital marketing? What are the career pathways for digital marketing? What are the top skills I need in digital marketing? Do you have any client success stories or reviews? We have over 170 reviews & case studies from our students – We have a huge amount of reviews from the 20,000 students we have trained and certified but we share the most recent on our website. What is the best course for a beginner? What is the best course for someone who has some experience? I am looking for a professional digital marketing qualification what are my options? There are 2 x Digital Marketing Diplomas (CIM is level 6 – degree level & DMI is level 5 – Novice level) – Worldwide recognised professional qualifications! Are Business Consort accredited and certified? YES – Business Consort is a CIM Study Centre of Excellence – All of our courses are accredited & certified under the CIM CPD Programme – We have numerous commendations from the CIM for outstanding results acheived by our students. We are also a DMI Partner. There are other CIM & DMI providers but why are your prices much cheaper? We train around 5000 students a year so as our numbers are much higher than other CIM study centres so our Price Guarantee means we are at least 20% cheaper than ALL like-for-like CIM courses and about 60% cheaper for CIM & DMI qualifications – Worldwide! What support do you offer when you enrol on a course? Ulimited after-course support through our Digital Marketing Made Easy Group and for online courses and qualifications we have Study Buddy Groups to support students and interact through LIVE Q & A sessions each and every Friday – For CIM students we also offer 1:1 telephone & written feedback on assignments before final submission. How do I get a feel for your training style and quality? Where do you host courses? In London, Manchester & Online – Worldwide! Do you offer guest speakers for events & seminars? There are lots of digital marketing courses to choose from – How do I choose? No problem we’ve got that covered – Just grab a course guide then watch the quick video about the digital skills required in 2019 and best courses to achieve your digital marketing goals. My business is paying – Can we pay by invoice? Whats included when attending classroom courses in London & Manchester? What are course timings and agenda? All Face-to-Face Courses start at 10am – 4pm (1 hour lunch + breaks) – Registration from 9am. All Online Courses are available anytime – anywhere – 24/7! You enrol and start and study at your own pace. Do you offer coaching & mentoring programmes? YES – Work directly with Founder & Multi-Award-Winning Digital Author, Speaker & Trainer – Dawn McGruer FRSA FCIM. Our mission and vision is to develop digital skills for real-world business marketing to ultimately boost your career and maximise digital marketing profits to scale and grow your business through on-the-job coaching & mentoring programmes. Dawn McGruer FRSA MCIM – Multi-Award Winning Digital Marketing Speaker, Author & Trainer – She has just been awarded Best Female Speaker @ The Professional Speaker Awards. She is ranked #1 in her industry by LinkedIn globally with around 45K direct connections & followers. Business Consort has a team of 17 so if you are studing qualifications or online courses other tutors & CIM examiners will also aid in supporting your main tutor Dawn and our student support team and Head of Enrolement will be on hand for all our customers to help with booking and accessing courses as well as any questions you may have. What are the main reasons I should choose to study with Business Consort? Price: Guaranteed to be at least 20% cheaper than any like-for-like accredited course – worldwide! Expertise: Multi-Award-Winning CIM Qualified Trainers. Practitioners: We practice what we preach as a digital agency as well as an academy. Support: Unlimited support through study buddy groups, live webinars & tutor calls. Success: We are celebrating our 14th year and have trained & certified over 20,000 students. Quality: Highly commended CIM study centre of excellence with numerous awards as well as a 99% pass rate + over 170 4-star or above reviews. Accreditation: All of our courses are accredited & certified under the CIM CPD Programme. 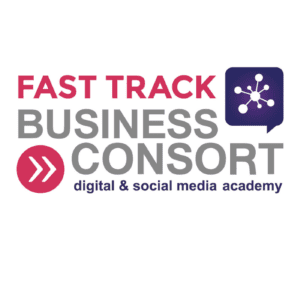 Fast Track: Achieve a professional, academic & worldwide recognised qualification in as little as 12 weeks, or develop your digital skills with CIM accredited online courses or through intensive 2-day Fast Track or 3-day Ultimate courses. Development: 83% of students have gained a pay rise, promotion or new job with average salaries in excess of £50-100K.